↑ Beard, Mary (2010). 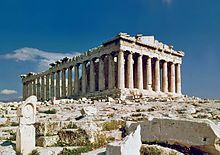 The Parthenon. Profile Books. This page was last edited on १९ मे २०१४, at ०४:४३.